What is a PLC and why is Training Important for my Employees? NTT Inc. - What is a PLC and why is Training Important for my Employees? Manufacturing and moving goods in the commercial market requires a high degree of accuracy and reliable automation. PLCs (programmable logic controllers) are a vital part of modern industrial operations. What is a PLC? How does this technology help in industrial facilities? How do businesses benefit from having employees who are formally trained in PLCs on their staff? According to the National Institute of Standards and Technology, PLCs are part of a control system that allows simple mechanical motions to be repeated quickly and accurately. This equipment stores a series of digital instructions in its memory. When connected sensors receive information that certain conditions are met, the equipment then responds with a predetermined action. For example, a PLC connected to an oven could be triggered to turn the heat up or down after a period of time. In industrial settings, PLCs have multiple uses. Sequential relay controls allow complex operations to be easily automated. Timers keep processes running in the right order. Counters ensure accurate inventory and production records. PLCs are highly customizable and easily programmed to fit the needs of the user. PLC systems are designed to take advantage of recent technological capabilities. These processors allow users to perform a greater variety of actions with greater speed and accuracy than previous systems. Once programmed, PLC hardware makes manufacturing, shipping, packaging, and other industrial processes easier and more profitable. PLC programming is based on ladder logic, which means that each action depends on previous operations. Technicians can use this inherent logic to simplify repetitive processes and reduce the need for human interaction with automated machinery. The high physical demands of industrial applications mean that PLCs need to be built to withstand constant mechanical stress. PLCs are built to be rugged enough to handle heat, dirt, and wear-and-tear. When equipment does wear down, each system component is easy to replace and reprogram. This saves money on maintenance and reduces profit-stealing downtime. Logic controllers are usually self-contained units. While you can certainly connect them to your main computer system, you don’t necessarily have to. Companies who value security can choose to keep their main systems separate from PLCs, making it more difficult for cybercriminals to maliciously gain access to production equipment. With PLCs, many hazardous operations can be completed with little to no human input. This decreases the chance of workplace injury and accidents caused by human error. PLCs help manufacturers make more product with a smaller investment of time and money. Businesses that use PLCs gain great benefits from seeking formal training for their maintenance and technical staff. PLCs are a highly technical field. That means private contractors and troubleshooters are in high demand. When your equipment goes down, you could find yourself at the end of a very long waiting list. Instead of wasting time waiting for the specialist, you can have your own specialists on-site and ready to respond at the first sign of trouble. Proper maintenance reduces the amount you need to spend replacing and repairing your equipment. With a trained staff member, you can be sure that your lines are always running at full capacity. Besides being hard to book, PLC specialists can also be expensive. Your on-staff specialist doesn’t incur any extra or unexpected payroll demands. What happens when it’s time to upgrade your existing systems? Instead of trying to work with a private contractor who doesn’t know anything about your business, you can rely on your existing and loyal staff members to guide you through the process. Businesses that use PLCs need formally trained staff members to protect their investments and help them grow. Are you ready to gain more control over your mechanical processes? 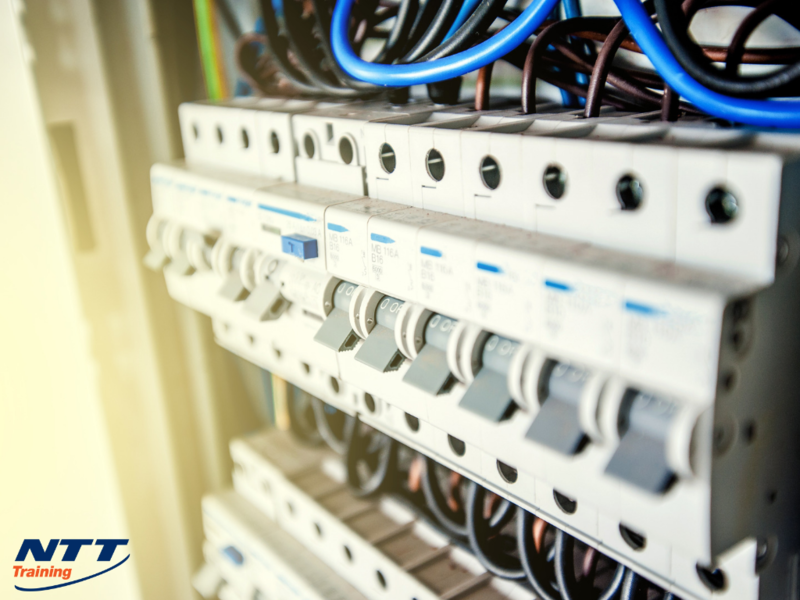 The PLC: Programmable Logic Controllers Training from NTT is the perfect way to teach your employees the basics of PLC management. This 5-day course provides a solid foundation of knowledge to help your technicians understand and program your PLC systems without the need for inconvenient or expensive outside assistance. Contact our representatives today to schedule a training session.